What makes EcoSmart Roofer different? 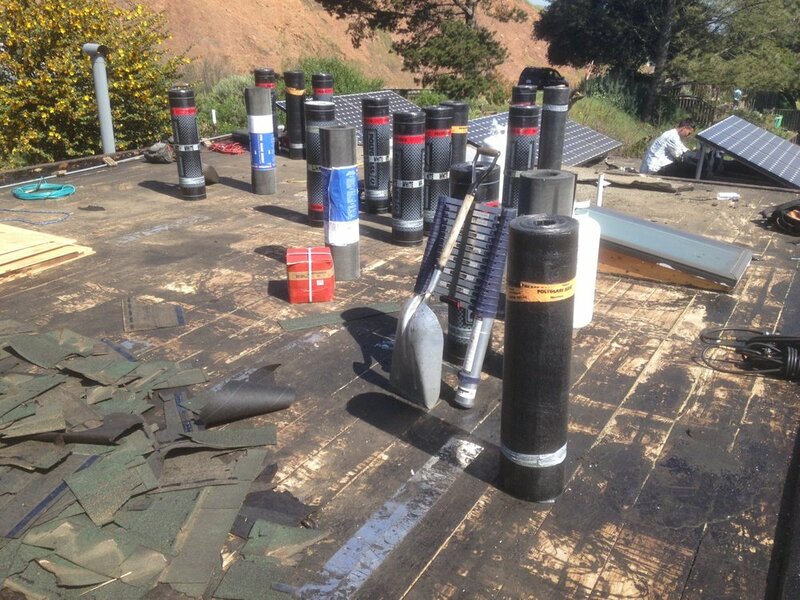 San Francisco roofing contractor that knows what is the true value of client's time. We live in the age of robots, self driving cars, rockets and artificial intelligence, you should have a contractor that understands that client's time is priceless. Our workers have passed special training programs for your San Francisco Code Building. Employees of Eco Smart Roofing have at least 10 years of experience in roofing and general construction. Eco Smart Roofer and our subcontractors are always Fully insured, licensed, bonded and certified. Make sure people working on your roof are fully licensed and insured, we hear horror stories about unlicensed contractors every day - always be protected and aware of who is working on your home. We provide 7, 10 year warranty, more than most of our competitors. Most of our roofing replacement projects come with Periodic Inspections once every two years, these inspections are important to resolving issues before they arise. Periodic Inspections are available to purchase for roofs that were replaced by other contractors. Please inquire within about more information on Periodic Inspections. We use latest tools to provide the best value at the time of initial paid inspection and at the time of installation. Thermal Imaging, Moisture Mapping and Humidity Sensors are often used during inspection and at the time of repairs or replacements. It's great to have a contractor as connected to today's fast moving, technologically advanced world as you. We choose the best materials available on the market today. There are no sacrifices when it comes to your roofing replacement, we always research and evolve in material combinations offered for our replacements, ask your representative for details. We never buy look-alike / copy materials in bulks. We use only local suppliers and authentic materials by known and proven brands. Tar and gravel roofing replacement with new double bitumen torch down GTA roofing application on all flat areas of the roofing. 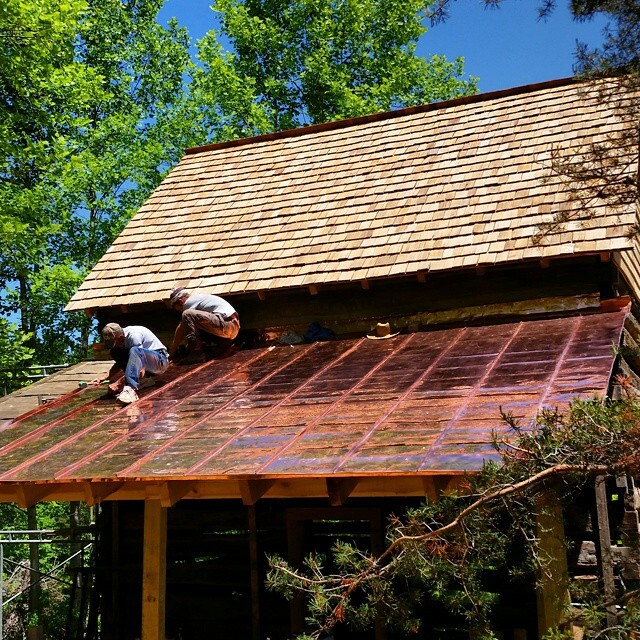 “Metal Farm” style of copper roof at front sloped section of the building. Plywood driven slope adjustment for proper drainage. Installation of copper flashings and sills throughout roofing surface. Removal and re-installation of solar panels. This was a very unique and interesting project as we had to work around current electrical systems and supercharge appearance and solar capacity of the existing photovoltaic system installed. Customer added title 24 reflective coating at a later time. Restoring roof on a historic building protected by city of San Francisco preservation commission. The project required scaffolding around 3/4 of a house. Smart demolition of concrete/slate tiles roof that couldn’t be re-installed. Complete replacement of 250 sq. ft of dry rot damage. Installation of 4-ply roofing system on all levels of roofing, new structural plywood on all levels as necessary Simpson hanger reinforced for added stability new double layer of GAF underlayment. New GAF asphalt shingles matching color of previously installed tiles on sloped portion of a roof. New double bitumen torch down GTA roofing application on all flat areas of the roofing, all new flues and sills. Replacement of 4 old skylights with new custom-made hot dipped galvanized skylights with new laminated glass. Installation of 3-ply roofing system. New premium layer of underlayment installed. new asphalt shingles of type A reinforced with fiberglass application on sloped areas of the roofing. New double bitumen torch down GTA roofing application on all flat areas of the roofing. Whatever your roofing project is, let our professionals help you! Some of our telecommunication staff are currently on yearly training and voice communication is limited to prescheduled appointments. Service and other project related requests can be accessed through email without delays. Eco Smart Roofer does not repair old skylights and does not replace skylights on an older roofing systems due to limitation of liability. 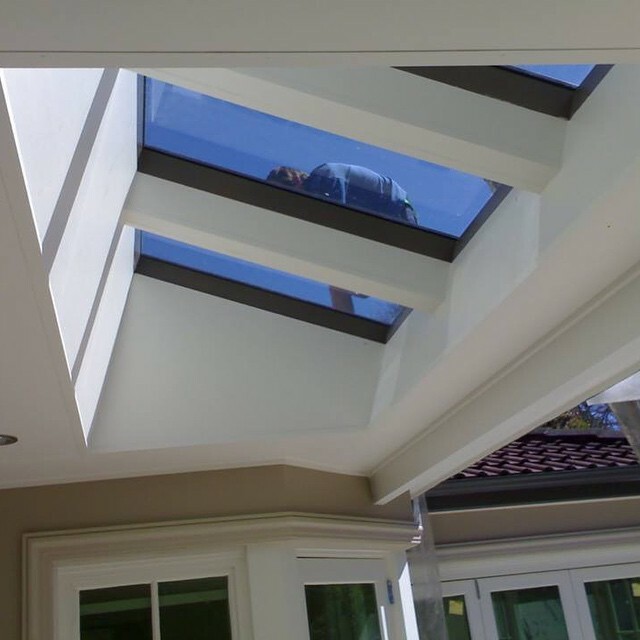 We only replace skylights on new roofing installations and are able to guarantee the project as a whole when we know every detail of your new roofing system including skylights. Eco Smart Roofer is a local San Francisco contractor, we mainly work on Victorian, Edwardian and Modern Construction homes, we specialize in re-roofing historical buildings and in preservation of original San Francisco benchmarks. We love San Francisco and we are the most efficient working in San Francisco. Eco Smart Roofer does not provide any free inspection services. Click here to learn why. When was your roof last serviced? Would you want your new roofing system to be structurally reinforced with 5-ply plywood system that serves as your new roofing deck and Simpson strong tie hangers? If you are planning to own the property for a long time with no issues due to seismic activity in San Francisco, this would be a good option to reinforce your building’s structural system at roof. If you are planning to sell the house in few years, you many not need this option. Would you want your new roofing system to serve you 20 years, 30 years or 40+ years? We need this information to figure out the type of underlayment to propose and numbers of layers (Plies) to propose, for a 40+ year roofing system the siliconized coating for low sloped portions of the roofing system is automatically included. Would you need your new roofing system to be insulated? You do not need to answer this unless you know for sure that you are planning on insulating your roofing system, we will be giving you that option at the time when the roofing is removed in case there is no insulation found in your roofing system or at crawlspace. Would you want to have your flat section of the roofing system coated with 2 part epoxy primer and two coats of siliconized coating system to reflect maximum amount of heat and light? This is the only heat and sun reflective coating we currently use and that is currently approved with our warranty, if you are planning to have a more eco friendly roofing system which is considered a “Cool Roof” or “Energy Star Coating” or “Title 24 Coating”. Are you planning to install solar panels on your roofing system? Are you in communication with a solar panel installer? If you answer yes to any of these questions, please provide plan for solar panel installation. 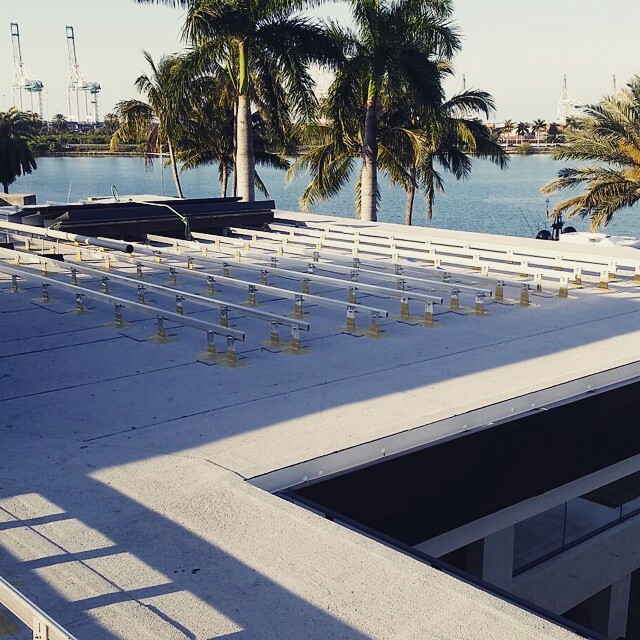 All roofs that are being prepared for solar panel installation are automatically proposed as top of the line, structurally reinforced 4-ply roofing systems with premium underlayment coated with siliconized coating for maximum life expectancy matching solar installation. ...is a San Francisco's leading construction, roofing and general contracting company. Our building, repairs and remodeling are done to “green” standards. From roofing to exteriors, gardens to kitchens, plumbing and bathrooms, Eco Smart has been building efficient, green-friendly homes and making home repairs and improvements in the San Francisco and Bay Area since 1998. We make sure that 90% of the building materials used in construction projects are more environmentally friendly, and more durable than conventional building materials used in the past. Whether your project is a new roofing installation, general home improvement, exterior repairs, interior renovations, or complete remodeling, we specialize in making it better, more efficient and long lasting. Our projects are more environmentally responsible, while at the same time more cost effective in a long run than conventional building projects.